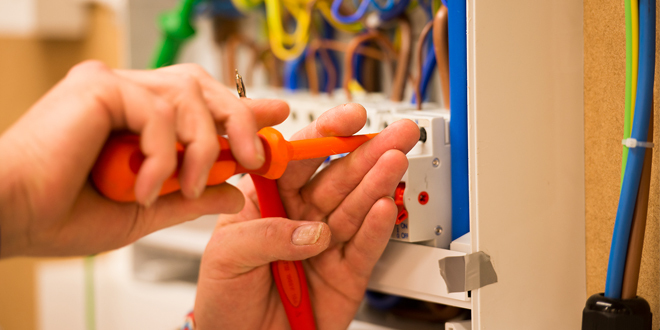 Drayton has launched a brand new range of the popular Digistat with a Service Interval feature, developed to extend and improve the range of programmable thermostats on offer and meet the demands of the Local Authority contract business. Key features of the new product include a flexible service interval mode with three options and adjustable warning/service periods, i.e. reduced comfort setting, completely off setting and no effect setting. Also included is a selectable audible alarm and boost feature. The new Service Interval versions will be available on the programmable thermostats, Digistat+2 and Digistat+3, in both hard wired (mains and battery) and RF versions. Simon May, Product Manager at Drayton, said: “The Digistat range is hugely popular amongst installers, boasting nearly 25 years of success and millions of installations across the UK. “We are always looking to evolve our products and add new features where required, and the addition of Service Interval to the Digistat range is the latest in our Digistat product development. Installers will be able to purchase the new range in all merchants from November 2018. 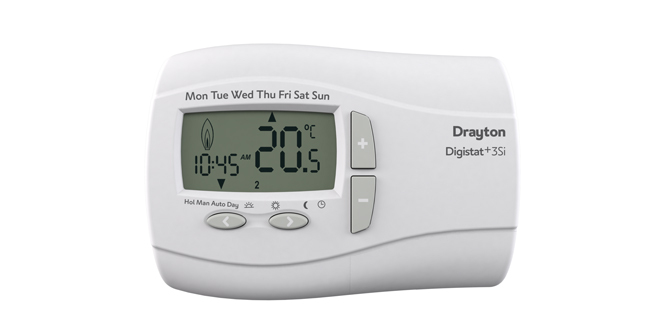 For more information on Drayton products including the Digistat SI, visit www.draytoncontrols.co.uk or follow @DraytonHeating on Twitter.